Panaya Success Center How to define Custom Tabs? 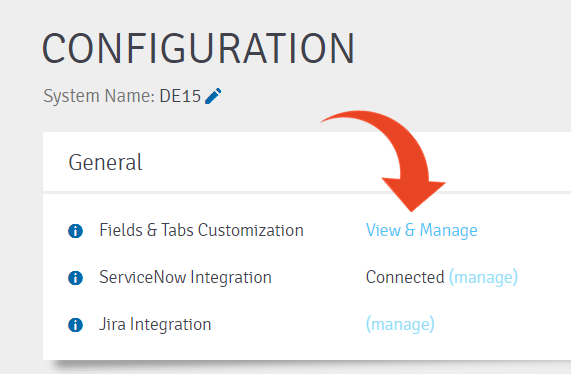 For each Entity, the default tab for Custom Fields is shown, in addition to any Custom Tabs previously created. In the example below, the Default Tabs appear for each Entity. 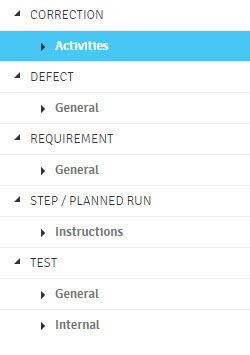 The Internal tab for Tests is a Custom Tab. How to define new Custom Fields?